We had a great time at our FALL FASHION EVENT, capped off by another terrific fashion show. The good times aren’t over, though. The next few weeks will be exciting as new apparel and accessories arrive in the store every day. Come visit us soon! The embroidered accents on this jacket make it a unique piece for your fall wardrobe. Add in the distressed denim, black boots and top off the look with a burgundy hat. 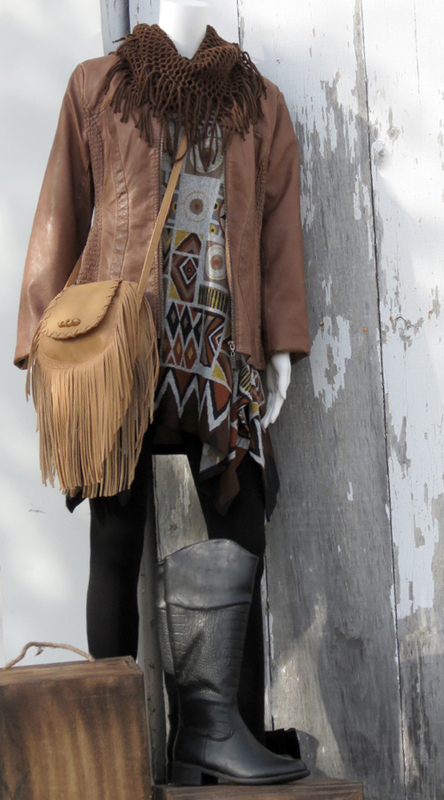 We love fringe! (Can you tell from the scarf and the handbag!) Start with basic black leggings and add some flair with a geometric print top with an asymmetrical hem. The cocoa top pairs well with a multi-colored skirt. Brown riding boots are a must-have for your wardrobe this fall. A Brighton bag pulls everything together. This tunic is made sassy by the black fringe along the hem. 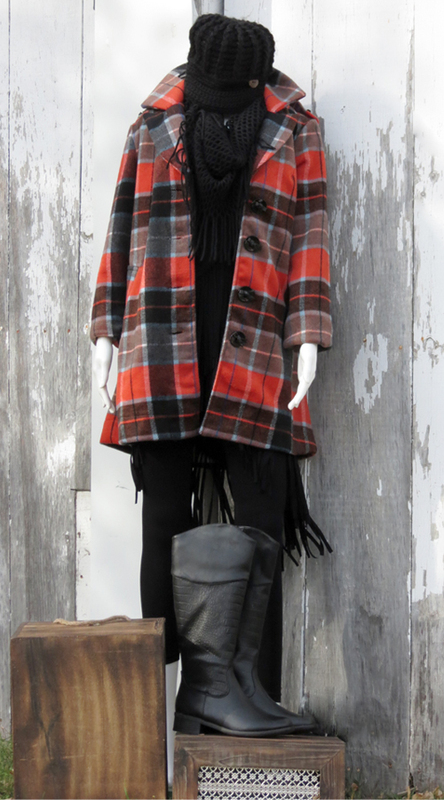 Warm your heart on a cold autumn morning by putting on this gorgeous plaid coat and knit black cap. 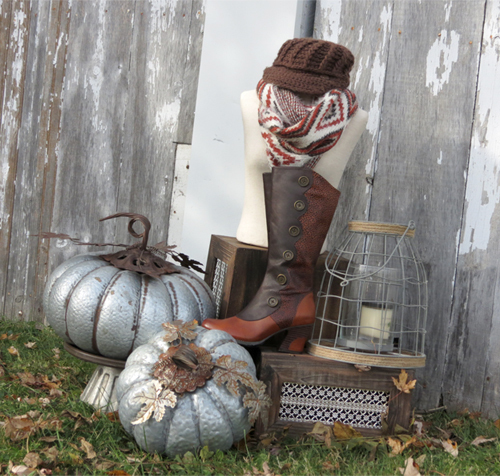 Broadway has great fall accessories for both you and your home! 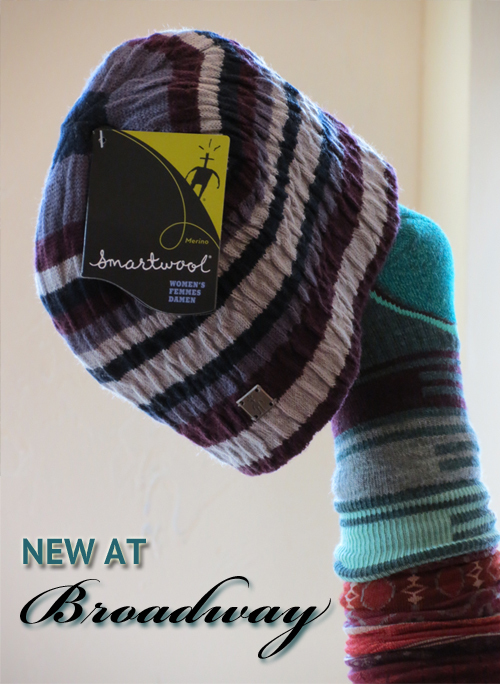 We’re so thrilled to be carrying SmartWool in store. You absolutely must try this new line of hats and socks made from Merino wool. So warm, so comfortable (itch-free)! It’s a natural fiber and feels better against your skin than synthetics and it’s naturally odor free. Come in soon and check out our selection. « Time to Accessorize with Brighton Scottie Crossbody – Free with purchase!